The Maholo Midge came on to the scene not too long after the Maholo Nymph. Our guides were catching a ton of fish on the Maholo Nymph back in the day and we were starting to get really busy. Anglers were coming from all over to play the Nymphing game with us and it was getting difficult to keep up with tying enough nymphs for all of our trips. 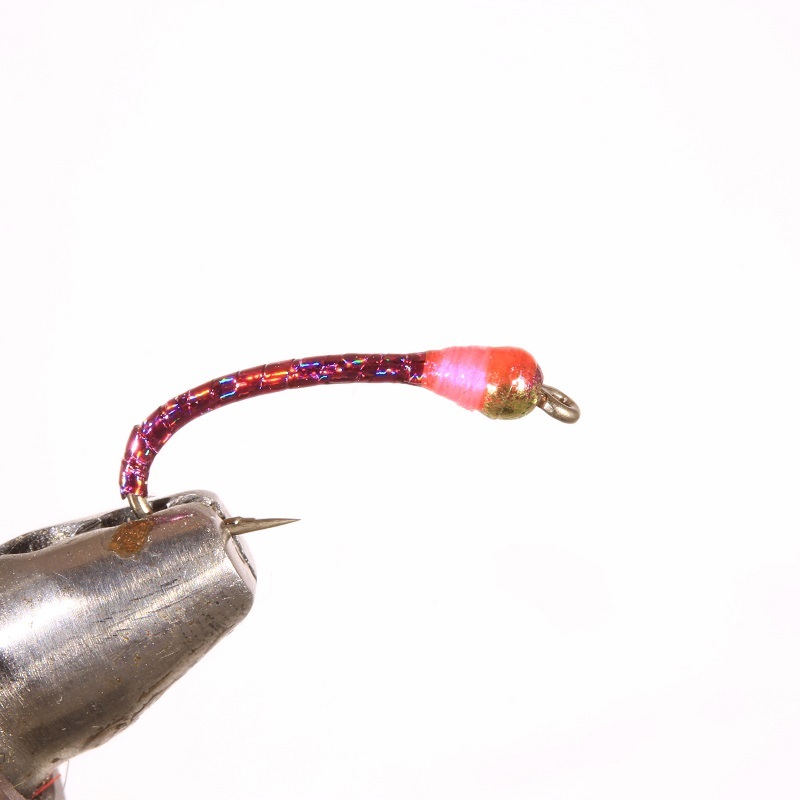 One evening the Maholo Nymph was tied Midge style without the wings, flashback and Thorax and the rest is history. This fly resembles the Zebra Midge in almost every way except the body is wrapped with Holographic Tinsel. 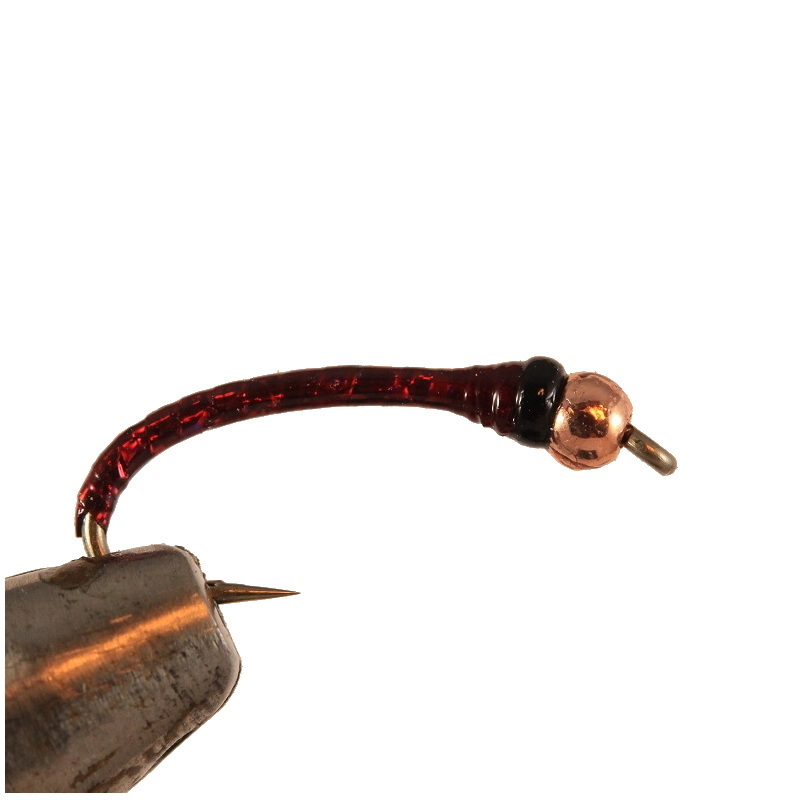 The first models were black with two strands of wire and a bead like the Copper Top. Red is also a great color and with the introduction of Wine Holographic Tinsel came the Albino Wino. 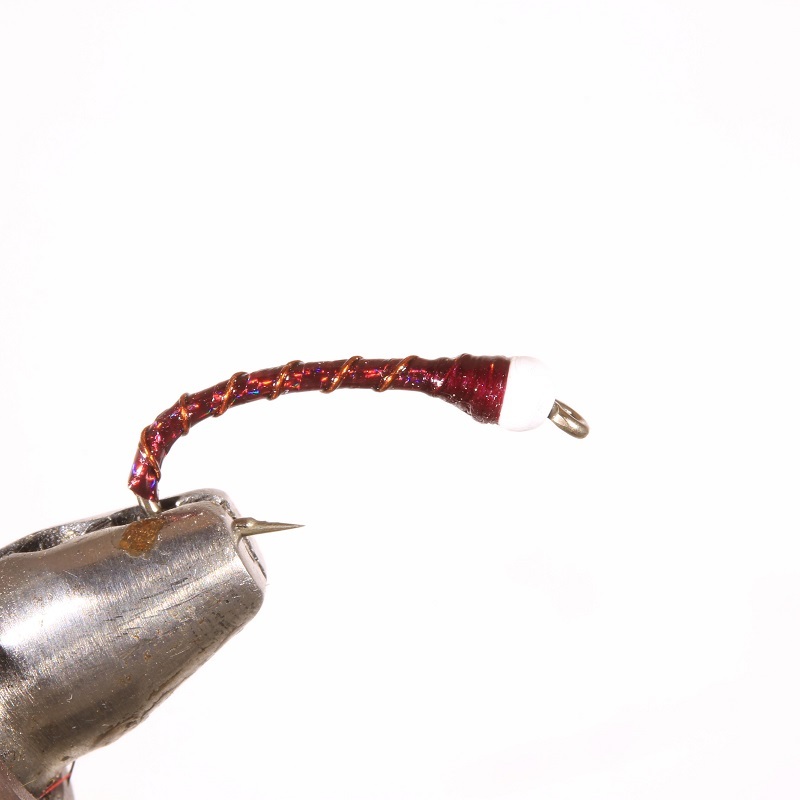 The Albino Wino has become the #1 selling Midge for Pyramid Lake and is one of the best Blood Midge patterns anywhere. It is a must have for stillwater anglers. 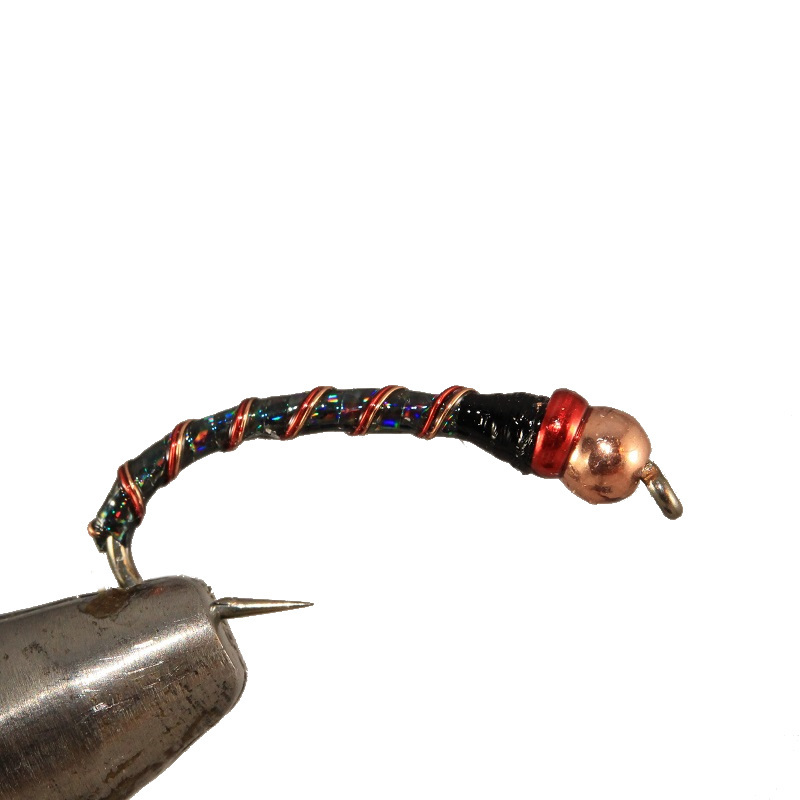 The options on how to mix Tinsel, Beads and wire is endless and give tiers plenty of room for creativity to come up with their own versions of the Maholo Midge. 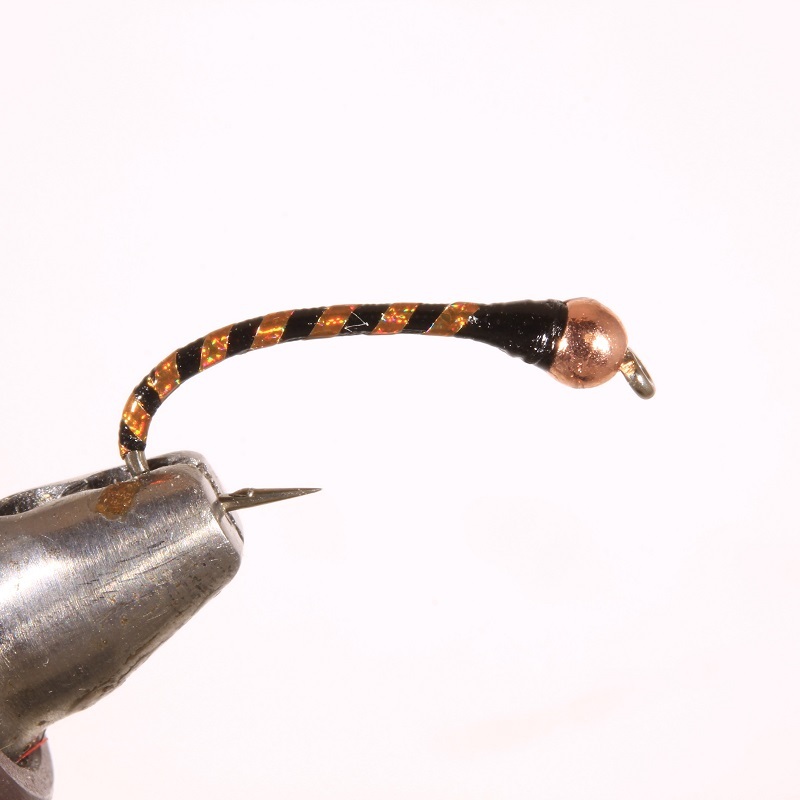 Now with the introduction of “Bug Bands” there is a whole new level of options for flies. 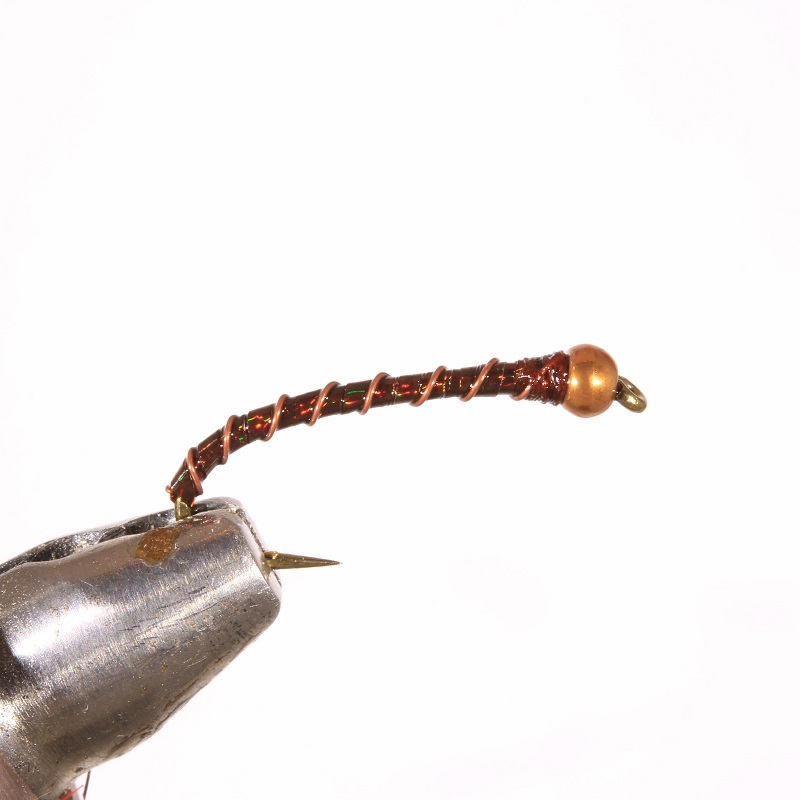 We have been fishing our Maholo Midges with or without wire, and Bands for a few years now.